New Year comes with Hope. We take a scientific look on status of vaccines against Swine Flu disease which terrorized us in 2009. The Swine flu pandemic vaccines are the set of influenza vaccines that have been developed to protect against the pandemic H1N1/09 virus. These vaccines either contain inactivated (killed) influenza virus, or weakened live virus that cannot cause influenza. The killed vaccine is injected, while the live vaccine is given as a nasal spray. Both these types of vaccine are usually produced by growing the virus in chicken eggs. Around three billion doses will be produced annually, with delivery started from November 2009. In studies, the vaccine appears both effective and safe, providing a strong protective immune response and having similar safety profile to the normal seasonal influenza vaccine. Developing, testing, & manufacturing sufficient quantities of a vaccine is a process that takes many months. According the World Health Organization (WHO), "There's much greater vaccine capacity than there was a few years ago, but there is not enough vaccine capacity to instantly make vaccines for the entire world's population for influenza." Nasal mist version of the vaccine started shipping on October 1, 2009. TIV works by putting into the bloodstream those parts of three strains of flu virus that the body uses to create antibodies; while LAIV works by inoculating the body with those same three strains, but in a modified form that cannot cause illness. LAIV is not recommended for individuals under age 2 or over age 50, but might be comparatively more effective among children over age 2. For the inactivated vaccines, the virus is grown by injecting it, along with some antibiotics, into fertilized chicken eggs. About one to two eggs are needed to make each dose of vaccine. The virus replicates within the allantois of the embryo, which is the equivalent of the placenta in mammals. The fluid in this structure is removed and the virus purified from this fluid by methods such as filtration or centrifugation. The purified viruses are then inactivated ("killed") with a small amount of a disinfectant. The inactivated virus is treated with detergent to break up the virus particles and their released proteins are concentrated by centrifugation. The final preparation is suspended in sterile phosphate buffered saline ready for injection. This vaccine mainly contains the killed virus but might also contain tiny amounts of egg protein and the antibiotics, disinfectant and detergent used in the manufacturing process. For the live vaccine, the virus is first adapted to grow at 25°C and then grown at this temperature until it loses the ability to cause illness in humans, which would require the virus to grow at our normal body temperature of 37°C. Multiple mutations are needed for the virus to grow at cold temperatures, so this process is effectively irreversible and once the virus has lost virulence (become "attenuated"), it will not regain the ability to infect people. To make the vaccine, the attenuated virus is grown in chicken eggs as before. The virus-containing fluid is harvested and the virus purified by filtration; this step also removes any contaminating bacteria. The filtered preparation is then diluted into a solution that stabilizes the virus. A new method of producing influenza virus is used to produce the Novartis vaccine Optaflu. In this vaccine the virus is grown in cell culture instead of in eggs. This method is faster than the classic egg-based system and produces a purer final product. Importantly, there are no traces of egg proteins in the final product, so the vaccine is safe for people with egg allergies. Pre-market human trials of swine flu vaccine to check its efficacy on Indians may start in the next fortnight as the Indian Council of Medical research is in final stages of "positive" negotiations with an international pharmaceutical company in this regard. will finalize the deal with the international vaccine manufacturing company by January 15 with which it will place the order. Government is negotiating with three international vaccine manufacturers. By next fortnight, the phase IV trials are expected to begin. This will be done to check the safety and the immunogenicity of the foreign-made vaccine on Indian population. Sources in the health ministry also said international vaccine manufacturer Glaxo Smith Kline has quoted the lowest price and is under consideration. More than 21,000 people have been affected by swine flu virus in India. Nearly 700 deaths have been reported from different cities here. Government says that since no Indian company is ready yet for the phase IV trial, we are considering the foreign brands as they are already tried, tested and in use in other countries. Zydus Cadila of Ahmedabad, the Indian swine flu vaccine manufacturing company, has recently got a Nod from the Drug Controller General of India to carry out human studies of its vaccine. Glaxo SmithKline and Baxter International have started human trials for their H1N1 wine flu vaccines in India. 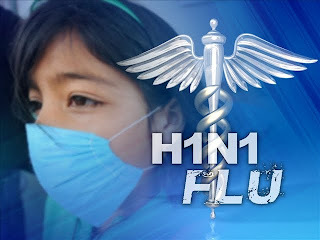 Serum Institute, Panacea Biotech and Bharat Biotech are expected to launch human studies of their H1N1 swine flu vaccine candidates in India by feb 2010. Serum Institute of India of Pune plans to administer around 500 doses of the H1N1 vaccine to animals over a period of 40 to 50 days. Serum institute will submit the toxicity and immunogenicity data generated from the studies to the Drug Controller General of India (DCGI) for obtain permission to undertake first in man Phase I human clinical trials. Serum Institute will begin human trials as soon as the company receives permission from DCGI. Serum Institute is developing two types of vaccine one is injectable (inactivated) and other is intranasal route (live attenuated). Lets hope that 2010 will bring us some good news on H1N1 Vaccine front.